Mr Rees currently has practising privileges in three main medical institutions in the Chelmsford area. He undertakes his NHS work (including all emergency and trauma cases) and a limited amount of private work at Broomfield Hospital. Both Springfield Hospital and the Chelmsford Private Day Surgery Hospital are exclusively private medical centres. The full addresses and telephone numbers of these hospitals are listed on the contact us page. Broomfield Hospital is a very busy district general hospital situated three miles north of Chelmsford. 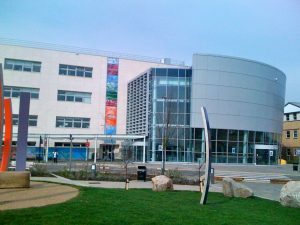 It is part of the Mid Essex Hospital Services NHS Trust and provides a comprehensive range of acute and community based services to an expanding local population of approximately 380,000. The hospital treats almost 70,000 patients per year in its A&E department. It has a busy Trauma & Orthopaedic Surgery Department with full daily trauma operating lists. Mr Rees is one of thirteen Consultant Orthopaedic Surgeons at the hospital. The Department carries out just under 4000 elective operations per year and is very active in the training of junior surgeons. Broomfield Hospital has obtained national recognition for its low infection rates and its management of broken hips. In addition, the hospital recently was awarded an improved ‘GOOD’ rating for patient care by the Care Quality Commission (CQC) following an inspection in June 2016. Back in 2010, the hospital underwent a significant structural redevelopment as part of a £200m PFI project. Springfield Hospital is one of Essex’s leading private hospitals and is situated on the outskirts of Chelmsford. It opened in 1987 and now has 67 bedrooms all with en suite facilities. There are five fully equipped theatres which are particularly suitable for orthopaedic procedures such as knee and hip replacements. Mr Rees undertakes most of his major private surgery at this hospital. The hospital also has excellent CT & MR imaging facilities and offers a very experienced physiotherapy service. 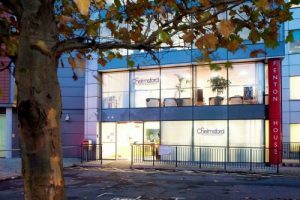 The Chelmsford Private Day Surgery Hostpital is a new state of the art medical and imaging centre. It was established in April 2006 and is centrally located in Chelmsford just across from the Essex County Cricket ground in New London Road. It is run by Aspen Healthcare and offers a wide range of day case surgical and diagnostic procedures. There is a modern operating theatre suite ideal for arthroscopic and ACL reconstruction surgery.